Lithuania, officially the Republic of Lithuania is a country in Northern Europe, the biggest of the three Baltic states. U.S.-based Cheniere Energy plans to export liquefied natural gas (LNG) by 2015 and hopes to take a stake in a floating LNG terminal in Lithuania. The Baltic state, which joined the European Union and NATO in 2004, depends 100 percent on Russian gas supplies, and in a move to diversify it plans a floating terminal to handle 1.5-2.0 billion cubic metres of LNG per year. “We expect to start (LNG export) operations by late 2015 … and we have a high degree of confidence that we can meet these timelines, and look forward to continuing negotiations with Klaipedos Nafta to supply Lithuania with LNG,” Helena Wisden, senior trading manager at Cheniere Energy said at a conference in Vilnius, Lithuania, on Thursday. Lithuanian government-owned oil and gas company Klaipedos Nafta says it aims to lease a floating storage and regasification unit (FSRU) of at least 130,000 cubic metres of LNG under long-term contract or acquire it under a build-operate-transfer transaction. Energy minister Arvydas Sekmokas said during the same conference that the government hoped to connect the LNG terminal to the grid in 2014. 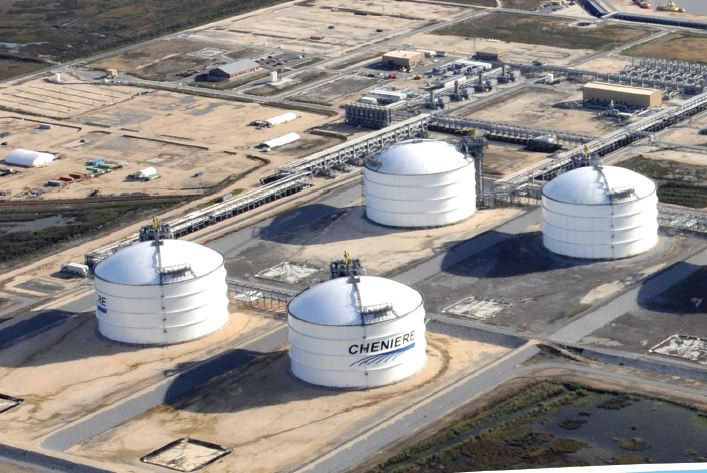 Houston-based Cheniere Energy is planning to export U.S. LNG from its Sabine Pass terminal in Louisiana by 2015, and in October signed an $8 billion deal with Britain’s BG Group , a leading LNG trader, under which Cheniere Energy will supply BG Group with gas to ship across the globe. Sabine Pass will have an initial capacity to export 9 million tonnes per year, and plans to sell the LNG for 115 percent of U.S. benchmark Henry Hub prices, plus a premium ($2.25 for BG Group). Wisden said at current prices an average-sized LNG cargo was worth $35 million. Cheniere Energy said in May that it was considering taking a minority stake in Lithuania’s LNG terminal, which is being developed by Klaipedos Nafta. Cheniere’s Wisden said that she expected the United States to become a net gas exporter by the middle of the decade, and that exports were the only way to sell the large amounts of gas produced in the country. “Gas demand in the U.S. cannot keep up with production, and we see LNG exports as the only way to take all that gas,” Wisden said. Wisden said that around 15 percent of global LNG supply was now traded on spot markets (or 200 million tonnes a year). Lithuanian majority state-owned oil terminal Klaipedos Nafta has received three proposals to supply it with an offshore liquefied natural gas (LNG) terminal, the company said on Wednesday. 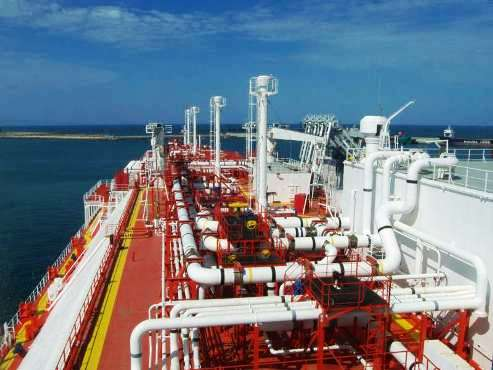 It has said it aims to lease a floating storage and regasification unit (FSRU) of at least 130,000 cubic metres of LNG under long-term contract or acquire it under a build-operate-transfer transaction. Klaipedos Nafta, which is in charge of the project, said on Wednesday it would review the proposals and would invite those meeting the qualification requirements to hold negotiations. The company did not disclose the names of three bidders. U.S.-based Cheniere Energy , which wants to supply Lithuania with LNG, was reported in May to have expressed interest in taking a part in the Lithuanian terminal project. The government hopes that the LNG terminal, estimated to cost about a billion litas ($400.3 million), would help to cut energy dependence on Russia’s Gazprom , now the sole supplier of gas to the Baltic state, and reduce prices it pays for gas. The final deal on the FSRU procurement is expected to be signed by the end of the year.